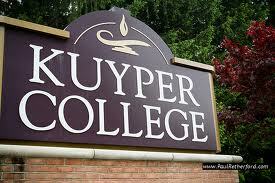 At Kuyper College, students find one of the most outstanding values in Christian higher education today. The best of academic and spiritual education is combined with a passion for awakening students to the need of possessing a solid biblical worldview. Within a welcoming community, Kuyper students develop professional skills and acquire experience that equips them for service to God and His kingdom. 3333 East Beltline Ave NE.